The No. 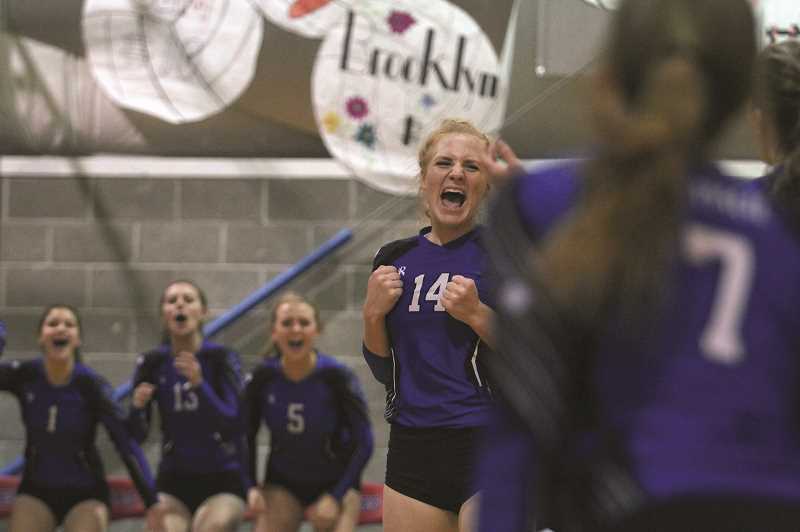 1 St. Paul volleyball team has faced little resistance this season on their route to a perfect record through the first three quarters of the season. Indeed, the Bucks have been so dominant that the team has dropped just three sets overall in that span. But the Buckaroos had their mettle tested in the small gymnasium at Crosshill Christian High School in Salem on Thursday. Though St. Paul came away with yet another victory, the No. 9 Eagles made them work for every point in the 3-0 sweep (25-22, 25-22, 25-15). "Crosshill was a very strong match and put up a solid block which our team worked hard to get around," St. Paul head coach Les Hiller said. The Eagles entered the contest on the heels of a six-game winning streak that began after the last time the two league rivals met in September. St. Paul won handily in its first meeting, 25-13, 25-11, 25-10. 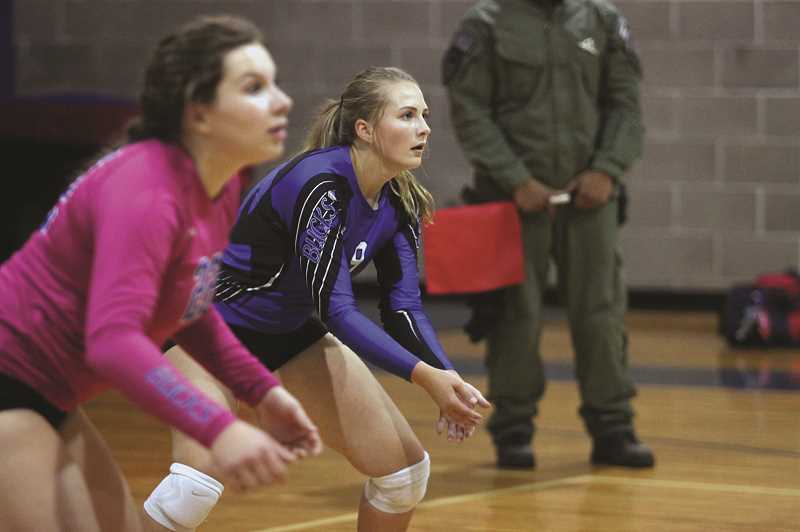 As a result, the Bucks were pressured to played more measured volleyball and respond to Crosshill's defense by guarding their side of the court equally well. Wyss led the team with 13 kills in the victory, while Counts added 10 kills and eight blocks. Sadie Smith had four kills and five blocks next to Counts, and Karlee Southerland led the team with 17 assists. The victory was the second of the week for St. Paul, which had a much easier go of things on Oct. 2 against the visiting Jewell Blue Jays, winning 3-0 (25-13, 25-11, 25-8). Hiller praised the play of senior libero Emma Connor in the two victories, who had 10 passes leading to kills against Jewell and 11 at Crosshill Christian. Counts again led the team in blocks against Jewell, tallying 13 deflections to go along with 11 kills. Southerland had another 17 assists in the win and was 19-of-20 on service attempts with six aces. With four consecutive home games left in the regular season before the conference tournament begins, the Buckaroos (21-0, 11-0 Casco League) are looking to head into the playoffs on a strong note. St. Paul was scheduled to host No. 3 Perrydale (21-4, 9-2 CL) on Tuesday, followed by Falls City (6-8, 3-8 CL) on Thursday.